Looking for math summer programs in Essex MA? Mathnasium is your outlet for fun, exciting and engaging math learning — and we’re extending our summer programs to Essex, MA, students. Enroll for the summer by April 1st for a 10% discount or by May 1st for a 5% discount! 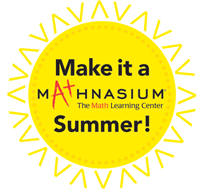 Mathnasium specializes in keeping students focused during the summer months. Certified math tutors receive comprehensive training to provide your student with an interactive, hands-on learning experience. Whether in elementary, middle or high school, students receive the math help that suits their needs in a warm, structured learning environment. * Non-SAT Essex, MA, summer programs are hour-long. Mathnasium’s Essex, MA, summer programs are convenient, allowing you to space out sessions. Enrollment includes 16 one-hour sessions that you can line up throughout the summer. Either take in bulk or at your leisure — it’s up to you. Every session is tailored specifically to your student’s needs, reviewing last year’s concepts if necessary, and hone in on areas best suited for optimal learning. Let learning continue throughout the summer at Mathnasium. From helping students tackle difficult-to-grasp concepts, to giving students an edge for next Fall, Mathnasium’s learning center guides through interactive, hands-on learning. We have fun! Register your student in our Essex MA summer programs and make this summer break a memorable one.